Come along to our Supplier Trade Week and discover Diageo, they are the world's largest producer of spirits and a key producer of beer. Find out more about their brands and the innovation behind them. Diageo have an outstanding collection of over 200 brands enjoyed in more than 180 countries. Brands are crafted, authentic, relevant, luxury, with something for every taste and celebration, big or small. Old and new, global and local the breadth of their portfolio is second to none. 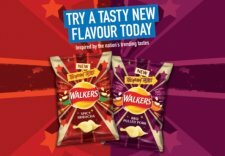 This week we have teamed up with Walkers to provide you some exceptional savings on some of the nation's favorite crisps. Discover the delicious full range and extended family, including Deep Ridged, Pops and Baked. offers are here for ONE week only so be sure to get your stocks levels filled! Watch Out for some NEW FLAVOURS FROM WALKERS coming soon featuring Spicy Sriracha & BBQ Pulled Pork most defintely inspired by some of the nation's trending tastes! Offering the Best Prices Barr None! We have teamed up with AG Barr to offer you some exclusive promotions for ONE WEEK ONLY! In 1875 Barr's was one of 100’s of soft drinks businesses in Scotland. Today they are leading independent soft drinks business in the UK. They are a successful branded soft drinks business, building a diverse and differentiated portfolio of great tasting brands that people love. 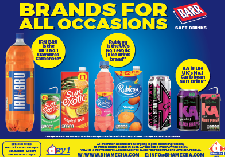 AG Barr make it their business to understand what consumers want offering a great choice of great tasting drinks! Here's your chance to Stock Up and be part of the experience!